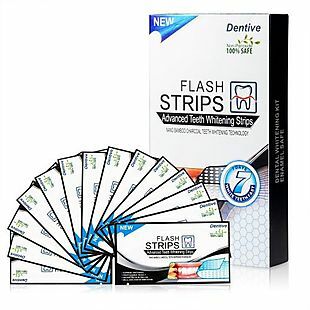 This 14-Pack of Whitening Strips, originally $15.99, falls to $10.99 when you enter code DENT during checkout at MomCozy.com. Shipping is free. We couldn't find this deal anywhere else, but similar ones start at $15. This comes with 14 packages that each include strips for upper and lower teeth. Sales tax is charged in most states. This Wireless Laser Pointer, originally $15.99, is on sale for $9.99 at MomCozy.com. The price falls to $8.99 when you enter code LSP1 during checkout. Shipping is free. We couldn't find this deal anywhere else, but similar ones start at $25. Sales tax is charged in most states. This 2-in-1 Portable Waterproof Diaper Changing Pad drops from $29.99 to $9.99 when you enter code DCPBD at MomCozy.com, and it ships free. It's a price low by at least $2 when compared with similar sets sold elsewhere. 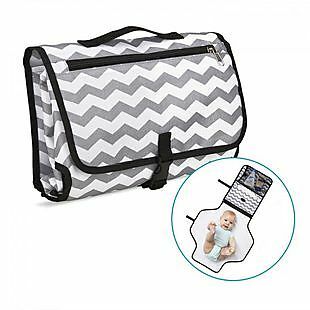 It folds up into a clutch-sized bag, and it features mesh and zippered pockets for organization of diaper-changing needs. It has a detachable handle. Sales tax is charged in most states. 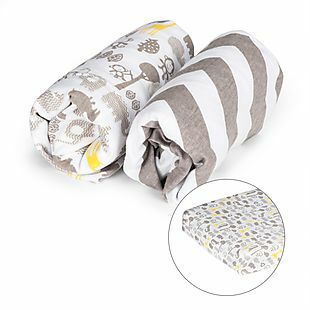 This 2-Pack of Bassinet Sheets, originally $34.99, is on sale for $12.99 at MomCozy.com. The price falls to $10.99 when you enter code 2LESS during checkout. Shipping is free. This is the best price we found by $20. Sales tax is charged in most states.